Pomeranian : Pomeranian for stud. ... [more] Pomeranian Black Laois €200 Pomeranian in LaoisAvailable for stud ! 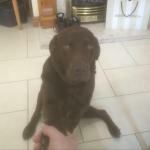 Rex/labrador : Very friendly dog, well cared for and exercised re... [more] Labrador Dark chocolate Dublin €80 Labrador in DublinAvailable for stud ! Jack. 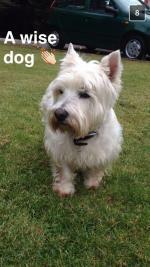 : Jack is a good tempered, fun loving, Westie with a... [more] West Highland White Roscommon €150 West Highland in RoscommonAvailable for stud ! 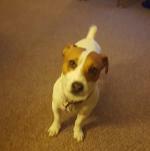 Charlie : Very affectionate and very friendly family indoor ... [more] Jack Russell White Louth €0 Jack Russell in LouthAvailable for stud ! Bruce : Bruce is an energetic, fun loving, labrador with a... [more] Labrador Yellow Wicklow €200 Labrador in WicklowAvailable for stud ! 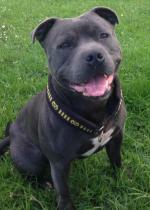 Titan- blue staff for stud : Beruit Blue At Hazmieh(UK import) is now available... [more] Terrier Silver / Gray Galway €500 Terrier in GalwayAvailable for stud ! 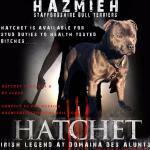 Hatchet-blue staff for stud : Hatchet now available for stud Irish legend du... [more] Staffordshire Bull Terrier Silver / Gray Galway €600 Staffordshire Bull Terrier in GalwayAvailable for stud ! 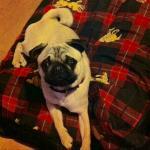 Lougharbour flashback : Lougharbour Flashback (Hank) is a 5yr old apricot ... [more] Pug Apricot Louth €150 Pug in LouthAvailable for stud ! Rocky : Rocky is very friendly our family dog. 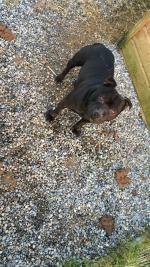 Very energe... [more] Boxer Brown Meath €300 Boxer in MeathAvailable for stud !